For people in need of a bit of brief financial flexibility, car title loans are often the way to go. At Loans for Less, our simple title loans allow you to walk out with that extra cash you needed with limited hassle. What are some factors you should be considering as you search for a title loan? These loans aren’t without risk, and the right considerations can go a long way. Here are some tips for important factors to keep in mind. Most title loan interest rates will be calculated on a monthly basis, but this likely won’t line up with other forms of debt you’ve had in the past. Most of these areas use yearly interest rates due to the longer lengths of their loan. This confusion can be costly if you get it wrong. A credit card with a 20 percent interest rate yearly isn’t so bad, but a title loan with a monthly interest rate at the same level will have much higher payments. Make sure you’re aware of which rate is being referenced before you sign anything. 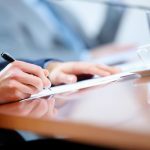 Some title loan lenders are less than reputable, and these folks will often require forced arbitration clauses – these remove your right to take any complaints or disputes from the loan in front of a judge. If a lender is confident in their ethical practices, there should be no reason they require this kind of clause. There may be other fees involved besides your interest rate, including insurance coverage in some cases. You could see origination fees, lien fees, processing fees and many others. Some may even charge a repossession fee in cases where repossession is necessary, even though such a fee isn’t even legal. Get all these details in advance, and in writing. In addition, find out what the lender’s policy on early repayment is. Some lenders will require additional payments if you finish the loan too early – this is to preserve the profits they would have seen from interest otherwise. But not all do, and if you think paying back early might be possible, be sure to confirm that it’s allowed without a penalty. Want to learn more about title loans, or any of our other loan programs? Speak to the pros at Loans for Less today. There are several different short-term loans out there, and many people get confused between them. At Loans for Less, we offer everything from car title loans to personal loans to help you get that quick cash you need. What are the differences between personal loans, title loans and payday loans? 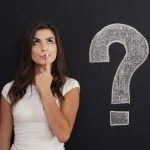 Let’s look at each of these, plus clear up some common confusion from within the person loan realm. A common misconception is that a loan with no credit check and no collateral is a personal loan – this is incorrect, and in reality, this is a cash advance. We’ll discuss what both these options are in a moment. Title loans, quite simply, are loans that allow you to borrow money for a short period of time using your vehicle as collateral. You sign over the title of the car at the time of the loan, though you’ll be allowed to continue driving it unless you fail to pay the loan back. There is no credit check required, and only minimal income verification. However, if you cannot pay the loan back appropriately, you risk repossession. These are extremely short term loans, typically only a couple weeks. They require no credit checks or collateral, though on the flip side, they offer higher interest rates and fees. Real personal loans, also called unsecured loans or signature loans, come with interest rates ranging from 5 percent to about 30 percent, depending on credit. Terms range from 12 to 60 months, and the application requirements are stingier than for other types we’ve discussed – you complete an application, provide bank statements and pay stubs, and authorize the lender to view your credit report. Want to learn more about the different kind of short term loans we offer? Speak to the brokers at Loans for Less today. 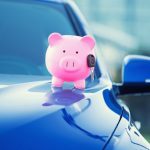 Most people think of a car title loan as a great way to add a little momentary financial flexibility, but while this is absolutely a common use, it’s not the only one. Another popular use for title loans? Rebuilding credit. Credit is a vital part of any financial profile, and a high score is required for many kinds of conventional loans. Standards are relaxed for title loans, though, and this often offers the ability to use the funds from a title loan to bring a low credit score back up. How does this work, and which areas should you exercise caution in if you’re going this route? Let’s take a look. The recent past is by far the most important time for a credit report, and using the funds from a title loan, you can make your recent history look a lot more impressive. A few large chunk payments toward big debts can raise your score almost immediately, and likely by more than you’d assume. There are even loan providers who allow you to pay back the borrowed money plus interest a year or two down the line – this gives you time to rebuild the credit score and get your finances in a good place before you pay it back. Now, let’s look at a few areas to be vary of if you choose to do this. 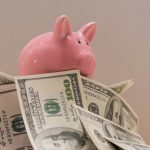 If at all possible, try to avoid spending the cash principal – put it in a savings account for at least a brief period before using it, if you can. This will make your finances look better, which matters for a credit score. It will also make things easier on the repayment end. Always pay back the borrowed amount on time, or even early if possible. You can roll a title loan over in most cases, but this will still require you to pay interest, which will only increase by the time you’re forced to finally pay. Taking out a title loan is just one part of what should be a comprehensive plan for how you’ll rebuild your credit. It should include your credit report and the important factors therein, plus saving through whatever avenues possible to make payments and remove some debt. Consider altering expenses, and look for alternative sources of income wherever possible. Raising credit score isn’t necessarily easy, but with the right effort, you can make it happen. To learn more about car title loans or any of our services, speak to the experts at Loans for Less today. There are a few different specific designations within the world of personal loans and signature loans, and one such designation refers to installment loans. At Loans for Less, we offer a variety of installment loans for people who fit their criteria. What exactly is an installment loan, and how can it potentially benefit you? Let’s take a look. Put simply, an installment loan is a loan with a set number of scheduled payments over time. In reality, many of the most common conventional loan types on the market are installment loans – auto loans and mortgages, for instance. Credit cards are not an installment loan, as they require a monthly payment but don’t carry a set time period for payments. Within the personal loan sphere, installment loans take on a specific role. For instance, let’s say you’re looking to borrow $1,000 to help pay for a graduation party for a loved one. You take out an installment loan that spans 24 months, at a 25 percent interest rate. In this case, you’d receive a check for $1,000 up front, and then you’d make regular payments of $53.37 for 24 months – in the end, equating to a repayment of the $1,000 plus the appropriate interest. In general, payday loans come for a shorter duration. They also have higher interest rates than installment loans, and can be paid back in a lump sum – often on the borrower’s next payday, hence the name of the loan. Installment loans, on the other hand, spread payments out evenly over a longer period of time. One of the primary uses for installment loans is building up credit. Credit bureaus want to see regular payments toward debts over time – because this is exactly the format required by installment loans, they’re a good way to build credit up quickly as long as you can make the monthly payments on time. Want to learn more about installment loans, or any of our signature or title loan options? The brokers at Loans for Less are standing by to assist you. Receiving a title loan is a less complex process than nearly any other type of loan, and at Loans for Less, we’re here to get you out the door with the cash and rate you need for your financial situation. 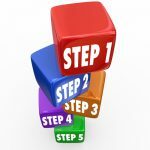 Despite the process being simpler than many other kinds of loans, there are still several important questions you want to be asking as you get started. Here are a few of the most important things to be asking about, whether it’s a title loan, signature loan or personal loan. What’s the Annual Interest Rate? The typical rate on a title loan is 25 percent, but this is a monthly figure – it’s not the same as your credit card, which charges interest rates annually. This same monthly figure would equate to 300 percent annually. Title loans have higher interest rates than most other formats, so don’t allow yourself to be confused by the time period being used for the interest format. Some lenders will also charge additional fees on top of the interest rate, and others will require that you purchase loan insurance. Some may even try to charge repossession fees if this ever happens, even though this is illegal. Make sure you know well in advance what sort of fees you might be open to, and make sure they’re documented carefully. Is There a Forced Arbitration Clause? Because there are occasionally shady dealers in this industry, you need to be careful. 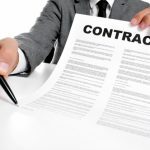 A forced arbitration clause is a contract some lenders might try to get you to sign, and it will waive your right to take any disputes before a judge. If possible, try to never sign one of these agreements – you’ll be wide open to several unscrupulous practices. What Are the Guidelines for Early Payments and Rolling Over? Lenders want to make money, and the primary way they do this is through interest. For this reason, some may institute penalties for payments that come too early, before enough interest has been collected. If there’s any chance you’re planning to pay early, make sure this isn’t the case. In addition, find out the guidelines for if you’re behind on payments and need to roll over further. This will damage your credit and finances, but there are lenders who will work with you to limit the damage – while others might place a limit on how long or how often you can do this. Want to learn more about title loan questions to ask up front, or any other loan services? The brokers at Loans for Less are standing by. No one takes out a loan without planning to pay it back, but as we all know, things happen. Maybe an emergency rears its head, or maybe you lose a source of income during your repayment of a title loan – at Loans for Less, we understand that not everything in life happens exactly as scheduled. Coming up late or short on car title loan payments can be damaging to finances, but there are a few options at your disposal for getting things paid off in an orderly fashion without getting into too much trouble. Here are some tips. By far the simplest and most preferable option, of course, is simply paying the loan back on time. Some lenders may drag their feet if you pay the loan off too early, so if this is a possibility, lay it out up front and find out what your options will be. In cases where you don’t have the funds immediately on hand, you could also look into selling the vehicle to free up cash flow. Converting the title loan into a different kind of loan is another approach if you’re short on cash. If you qualify for a basic fixed loan from a bank, this will often come with a much lower interest rate and lower payments than your title loan – you can use the money to pay off the title loan and avoid the repossession of your vehicle. If you’re having trouble finding a good loan, visit smaller banks and credit unions. There are many situations where your lender will work with you – they want the money to be repaid just as badly as you do, after all. You might be able to lower your payment in exchange for a longer loan term, or lower interest rate in exchange for other concessions. This may damage your credit in many cases, but that’s often preferable to getting your car repossessed. Defaulting on a loan is when you stop paying, and this is the last of your options – it will damage your credit and potentially lose you your car. There are situations where simply surrendering your car might be the best option. There are also situations where bankruptcy will get you some relief from certain title loan debts. Want to learn more about title loan repayment tactics, or any of our other services? Speak to the brokers at Loans for Less today. A big part of the appeal of car title loans and personal loans is their speedy nature. The ability to get quick cash for an emergency or other immediate expense is a big deal to many people, and at Easy Title Loans, we’re here to get you the best deal possible on a title loan while also respecting the demands on your time. For most people, this means following a basic, tried-and-tested step-by-step process to getting your title loan approved and ready to go. Let’s look at these basic steps to get you ready for your next application. The first step of any title loan process is the valuation of your vehicle as collateral, which mostly takes place through a basic inspection. All relevant value items will be examined by the lender’s technicians, from functionality to appearance. Just to save a bit of time, make sure in advance that the location you’re going to for a valuation accepts title loans for your make and model of vehicle – some may have restrictions. While your car is being inspected, you’ll fill out some brief paperwork to make your application official. This application will be considered, along with the value of your car and any other relevant factors – including your credit history, income situation and other financial elements. On the spot, you’ll be able to get your verdict. You’ll be told whether you’re approved or denied for a particular type of loan, and you’ll be told the maximum loan amount you’re eligible for based on the value of your car and other factors. This is the point where items like interest rate and loan term will be ironed out and finalized. When the paperwork is signed and ready to go and the title has been appropriately transferred, that’s the end of it – you’re ready to drive off with your new cash and get back to your life. 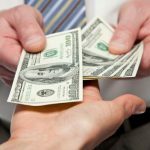 You’ll now have a repayment to consider, of course, but you’ve gotten yourself some of the speediest and easiest cash possible with little to no hassle. To learn more about our title loans or any of our other loan programs, speak to the brokers at Easy Title Loans today. A car title loan from Loans for Less is a perfect way to get you a little financial breathing room when you need it, and we have a wide variety of affordable options available. There are very few hassles or extra details associated with this process, and you can get the quick relief you need as long as you have the proper equity in your car. That equity starts with a clear and clean car title, however, and this is an area where a few folks occasionally run into some issues. You need to be the titleholder of a car to apply for title loans, but there are a few potential issues here. Here are a few of the most common title issues to be aware of. Title fraud is unfortunately a common issue in the used car business, and part of the reason you need to take care you go through a reputable vendor. The previous owner of a car, or often a shady dealer, will clean the title history of the car to hide issues – major repairs and big problems, usually. This is typically done to artificially inflate the value of the care for resale, but it’s a crime. If you’re purchasing a used vehicle, be sure to do due diligence. This is usually a paperwork or details issue, but there are times where the title transfer is done improperly. In most cases this won’t be a huge issue so long as both sides are amenable, but again, beware of shady people. In some cases, you’ll have to get a court order to handle the legal side of a transfer if it’s done incorrectly the first time. A title loan is a great way to get some flexibility, but mismanaging repayment can cause issues with your title. Loan rates are high, so you need to be sure you can repay the amounts or risk a tough process getting your title back. Also, if you’re forced to roll over your debt too many times because of failure to repay, you might be at risk for repossession of the car entirely. To learn more about how to avoid these problems, or about any of our signature loans or other programs, speak to our experts at Loans for Less today. So, you’ve got yourself a car title loan from Loans for Less. You’ve used that cash for a pressing need or emergency expense, and any crisis has been averted. Well, now it’s time to pay your loan back. A default could lose you your car or cause a number of other problems – how do you make sure you avoid that? Better yet, how can you get things done ahead of schedule and provide a boost to both your finances and your credit score? Let’s look at a few simple tips for paying off your title loan earlier than expected. Let’s say your scheduled monthly payment is $68.99, just for example. If you can round that up just a little to a round figure, say $75 or even $100, you could be making much more headway than you think. That little bit of extra per month will chip away slowly at your total interest, and after several months, you’ll all of a sudden find yourself with a much smaller amount – despite paying what seems like a trivial extra amount each month. It may sound obvious, but the downsides of missing payments in a personal loan situation can be extreme. In the case of title loans, any serious delays in payment may cause you to default on you loan, which would in turn lead to you losing your car. Plus, even if you manage to avoid default, missing a payment will raise your interest and the eventual amount you’re forced to pay off. If you’re scheduled to make payments monthly, but you think you have the flexibility to do so more often, make it happen! There are also ways to split up your payments in ways that allow you to contribute a little extra every now and then without putting a major financial strain on yourself: Instead of a $400 payment once a month, try paying $100 once a week – for months with five weeks or close to it, you’ll end up paying a little extra without causing a major dent in your pocketbook. If you can afford it, a sizable chunk once a year can go a long way. It can knock out a big portion of interest, and may even get you far enough ahead to feel comfortable paying down other debt simultaneously. At Loans for Less, our experts are standing by to assist you with all your personal and title loan questions.